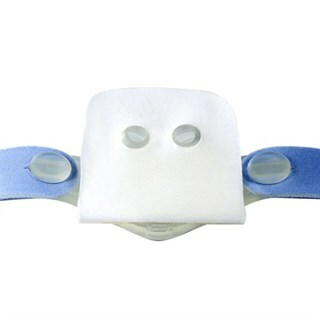 The RemZzzs Nasal Pillow Liners are compatible with most ResMed, Philips Respironics, and Fisher & Paykel Nasal Pillow Masks. Made from 100% breathable cotton knit. - Ensure the smaller holes are stretched out to the appropriate size. If they are not stretched out enough, they will not expose enough of the pillow opening, causing partial blockage of airflow. - If sure that the smaller holes are stretched properly and there is a feeling of partial blockage, adjust the liner with the mask on. It's possible that the liner was pushed out of place while putting the mask on. Adjusting the liner with the mask on may re-orient the liner to it's intended position.